AutoNation Inc., the largest U.S. auto dealership group, said today that its new-vehicle unit sales rose 10 percent in June from a year ago. The company sold 25,162 vehicles last month, vs. 22,862 in June 2012, the company said in a statement. On a same-store basis, June sales increased 5 percent from a year ago to 24,107 units. 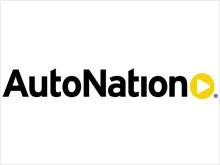 AutoNation, of Fort Lauderdale, Fla., topped the industry’s 9 percent U.S. light-vehicle sales increase in June. At AutoNation for the month, domestic-brand vehicle sales rose 15 percent to 8,130 units, import brands rose 8 percent to 12,460 and luxury brands increased 8 percent to 4,572. For the second quarter, AutoNation’s new-vehicle sales increased 10 percent, as domestic brands rose 16 percent, luxury 10 percent and imports 7 percent compared with the year-ago quarter. Same-store sales increased 7 percent. AutoNation CEO Mike Jackson wrote on Twitter that Florida stores increased sales 8 percent and California stores gained 7 percent. “The automotive industry continues to be a bright spot in the U.S. economy,” Jackson wrote on Twitter. Dealers had 26 days to sell vehicles in June compared with 27 days in June 2012.